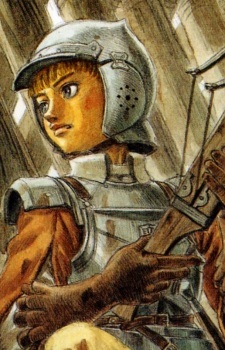 Rickert was the youngest in the old Band of the Hawk, being merely a child. Now, he is one of the few surviving members of the original Band of the Hawk. After the Eclipse (which he wasn't present at), he lived with Godo, the smith who created Guts' Dragon Slayer, and became his smith apprentice.